WARNING: This post contains gratuitous cat shots to make up for my idiocy. So with tiny child feet kicking the back of my chair for the last two hours (a dad travelling with two small girls is sitting right behind me. Poor him, but more importantly, poor me), I pulled out my trusty little netbook to organize photos and write a couple of posts. But since I’m an idiot, I don’t have the pictures I need downloaded yet on my netbook. That’s OK, I think as yet another smaller child cries behind me, I have plenty of time to download the pictures. There’s at least two more hours of this awesome flight left. Then, since I’m an even bigger idiot, I realize, I don’t have my camera on me. That’s right….me, a so-called ‘blogger’ is on her way to Christmas with XFE’s family in Vegas WITHOUT my camera. XFE is going to bust my chops soooo hard on this one. Classic Poe move. I really soy sauced this one. So, dear readers, I will try to post over the next couple of days. And they will include some photos. After all, I have quite the folder filled with photos of Petunia. She’s always a winner. What do you mean I’m NOT going to Vegas? You are dead to me. Plus, there’s whatever images I can somehow manage to capture with my camera phone. Or XFE’s iPhone which takes way better pictures than my camera anyway. Oooooh, or maybe I’ll give in to all the post-Christmas shopping frenzy and buy a new camera! There’s an idea….. I am sick of hearing it. 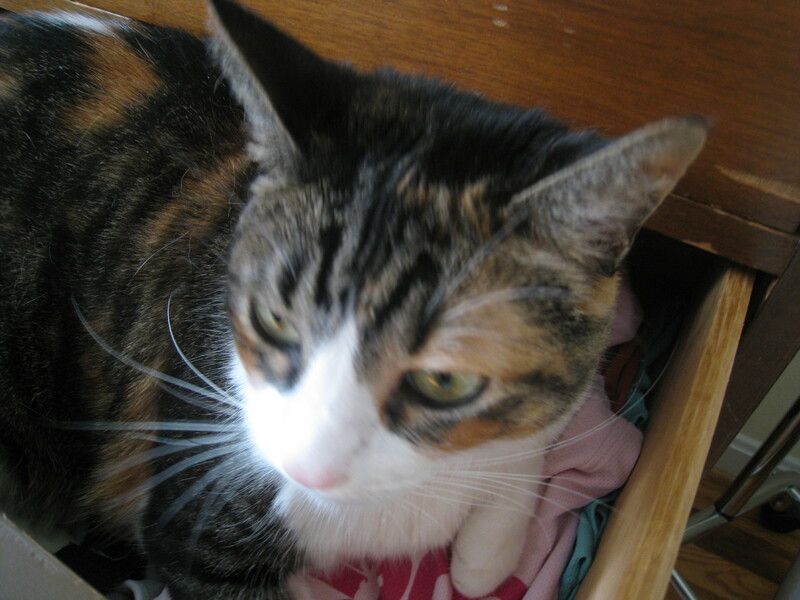 Can someone please come get me out of this drawer? Anyway, I guess we’ll leave those last couple of Vieques posts until next week. Consider it the Poe Log Christmas gift to all of you. I’m sure you were getting sick of hearing about Vieques anyway. I know Toonie is. I’m ready to go to Vegas.